QUEENSLAND lotfeeder Bryce Camm was elected president of the Australian Lot Feeders Association at the peak council’s annual general meeting in Brisbane this afternoon. Mr Camm replaces NSW industry member Tess Herbert, who has served as president for the past three years. Mr Camm is chief executive of his family’s Camm Agricultural Group and operates the 9500 head capacity Wonga Plains feedlot near Dalby. Last year he was appointed to chair the Australian Beef Sustainability Framework’s seven-member Sustainability Steering Group, made up of grassfed and grainfed cattle production, processing, marketing and live export stakeholders. He has been an ALFA director for the past five years, and was a Rabobank Emerging Leader award recipient in 2014. 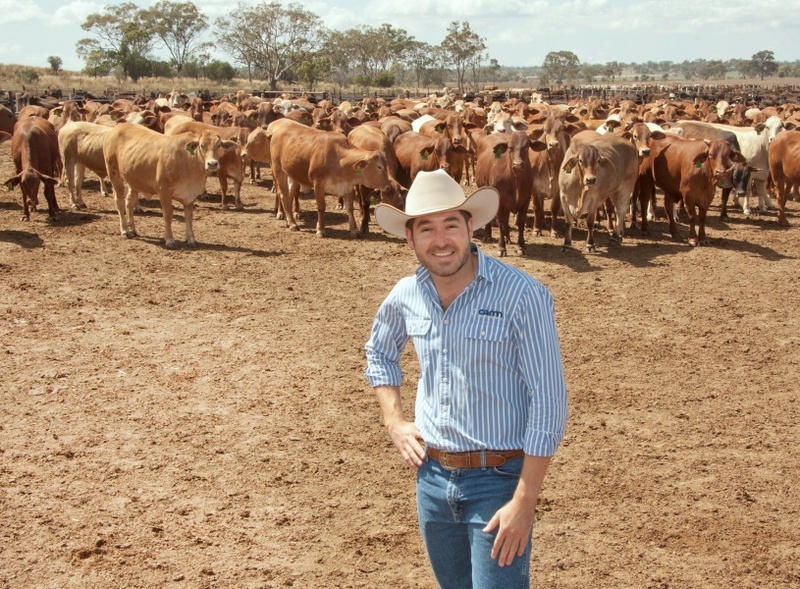 In 2012, Wonga Plains earned the industry’s Feedlot of the Year crown for yards less than 10,000 head in capacity. Mr Camm also sat on the Beef Australia 2018 organising committee. On taking over the chair at this afternoon’s ALFA AGM, he praised Mrs Herbert for her outstanding contribution to the lotfeeding industry over the past three years as president – particularly for her wide consultation both within ALFA membership and the council, and the high level of governance she bought to the position. Mr Camm singled out three issues that he thought would be key focuses for the ALFA council in coming months. The first was the recently announced review of the Memorandum of Understanding under the Red Meat Advisory Council process, which he described as a critical period for ALFA and the council. “I assure members that this council and I will stand up for lotfeeders’ interests and ensure that the grainfed sector is well represented in any RMAC model, going forward,” he said. The current industry levy breakdown and structure was another key issue raised by Mr Camm. “This organisation needs to continue to work on levy flexibility. We do see that we have levy reserves in some of our allocations at unsuitable levels – AHA levels where we don’t have enough money in the tin, and marketing where it might be far more substantial in terms of reserves. The ability to ensure that industry programs in our industry are well-funded with the levies we collect, is critical,” he said. Outgoing ALFA president Tess Herbert and her husband Andrew operate the Gundamain and Ladysmith feedlots near Eugowra and Wagga, respectively, in NSW. Mrs Herbert will continue to play a role in ALFA affairs as an active immediate past president, to ensure continuity within the council and executive. Elected vice presidents this afternoon were Tony Fitzgerald from NH Foods Whyalla feedlot in southern Queensland, Grant Garey from Teys Australia, and Paul Vogt from TFI’s Iranda Beef feedlot in South Australia. Re-elected as ALFA councillors were Tony Batterham, Trevor Hinck and James Palfreeman. Barb Madden from Smithfield feedlot near Proston was re-elected treasurer.